All this nice weather is making it hard to blog. I’ve been spending a lot of time outside working in the yard of our new house, which I’ve basically ignored until this month. I’ve been continuing on my quest to eat “clean.” The third season of “Game of Thrones” arrived from Netflix. Noah’s been barfing all morning. But we’re already four days into April, so I need to announce my resolution for this month. I’m hoping that will make it harder for me to conveniently “forget” that a resolution was ever made. This month’s goal started out as an easy one: Exercise every day. It could have been simple. Just some kind of exercise every day. At least 30 minutes. Cardio, weights, yoga, a walk around the block – any of it counts. But of course, I have to complicate things with an additional requirement. A requirement that, on the surface, doesn’t seem like much. But by adding this requirement, I’m dragging myself through some physical and emotional stuff that I have been trying to ignore for the majority of the last two years. I’m going to work on my belly. The brief explanation is that ever since Rory was born (two years ago this month), I’ve been dealing with something called diastasis recti. Basically, it’s a separation between the left and right side of the rectus abdominis muscle, which covers the front surface of the belly area. These muscles appropriately separated during pregnancy, but then never went back together, leaving me with a belly that protrudes like I’m still pregnant. It sounds simple enough, right? But it’s actually a long story, one that I keep writing and deleting and then writing again. Though I’ve told plenty of people about this issue, I’m sensitive about putting it out there for the whole Internet to see. Pregnancy and everything around it is so fraught with judgement. We judge ourselves, we judge everyone around us. We are constantly bombarded by new and changing information related to carrying and raising kids. Everyone has an opinion. And as much as I like to think that I “tell it like it is,” I’m feeling shy about talking about my belly. I don’t like the idea of you reading this thinking to yourself, “Hmm, she really should have done ‘x’ differently.” I don’t want to make you feel like you have to say “What belly? You look great!” Nor do I want to invite furtive glances at my midsection the next time I run into you at the grocery store. But I’ve found so much comfort reading blogs by other women dealing with the same issue as me, I’d be remiss to not put my story out there and hopefully do the same for someone else. So, here we go. My pregnancies with Noah and Rory were very similar, though there were a few major differences. (I’m hoping to cover those in another post). 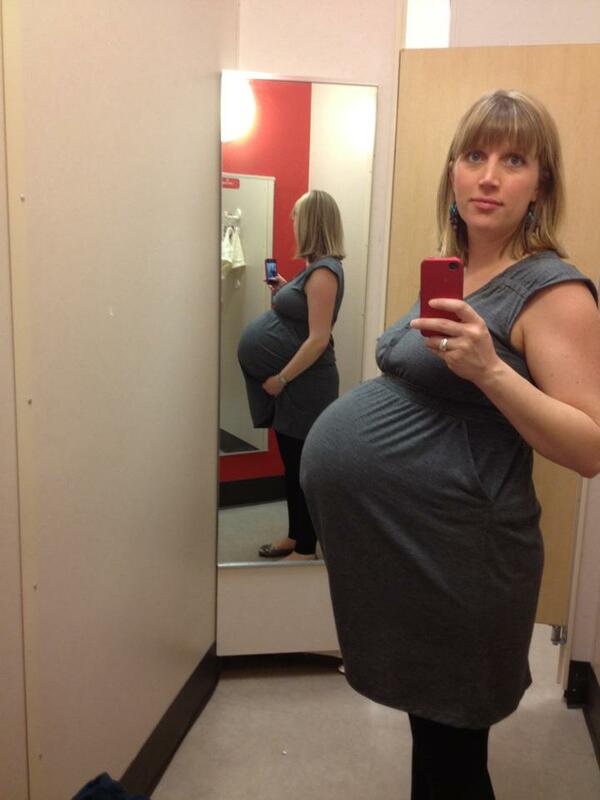 I enjoyed my pregnancies; I gained nearly 40 pounds with each, almost at the exact same rate. They were both good sized babies (Noah was 8 lb 7 oz; Rory was a manly 9 lb 10 oz) with off-the-chart head sizes. A reminder of what my belly’s been through. Both boys were delivered via Cesarian. With Noah, I was induced at 10 days overdue. My doctor suggested going straight to C-section, but I wanted to try labor first. After 14 hours, I was 8 cm dilated but Noah wasn’t coming down and was experiencing fetal distress. They performed an emergency Cesarian. With Rory, I worked with midwives who supported my wish to attempt a vaginal birth after Cesarian (VBAC). But then a few days before my due date, an ultrasound predicted that Rory would be a big ‘un, and they decided that waiting for me to go into labor to VBAC would be too risky. A C-section was scheduled for my due date. I was disappointed and, weirdly enough, have had to mourn the fact that I didn’t get to deliver vaginally. But in the end, I was just glad to have a happy baby. Within weeks of coming home from the hospital with Rory (and after going back to the hospital for an emergency procedure; but that’s another story) I knew something was wrong with my abdominal muscles. Sure, after Noah, I had that soft, droopy postpartum belly for a few weeks. But after Rory, it was different. My abdominal muscles seemed to actively, defiantly protrude. Weeks and then months went by, and my belly continued to jut out with the same firm roundness of a several-month pregnant belly. My belly button looked like a deep cave under a rocky outcropping. Excess skin sagged around it. 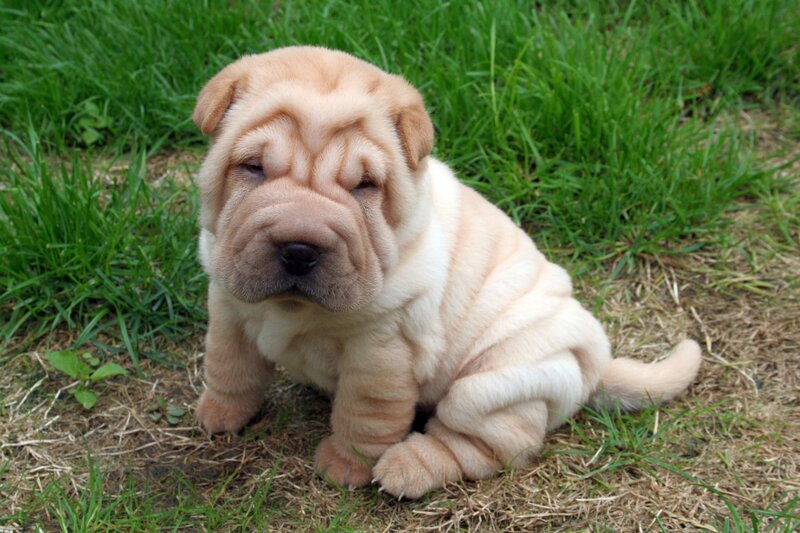 I’m not brave enough to post a picture of my belly, but this shar pei puppy’s face is a pretty good representation. Rory turned one in April 2013. I got on the diet and fitness plan I mentioned above, and lost the final ten pounds of baby weight. The belly didn’t budge. During this time I googled furiously to figure out what the hell was going on, and first heard of diastasis recti. I suspected I had it; I just didn’t know how to fix it. I eagerly awaited my annual OB/GYN appointment (has anyone ever eagerly awaited that appointment?) so I could get some advice on what to do about it. I was crushed. I left his office with a referral for a plastic surgeon and a fire in my belly (about my belly) to find another option. I griped to a friend about it, and she told me about a Pilates place that also offered physical therapy. I got in touch with them, and found out that they offered PT for diastasis recti. At my first session, I told the physical therapist what my doctor had said. She was baffled that he wasn’t familiar with any of the rehabilitation exercises available. She told me that while the couldn’t ensure she could give me a flat belly, she could at least help me get more core strength back. I was so relieved, I could have cried. We met for a few weeks. Then I got laid off and we went on Pat’s insurance, which didn’t cover physical therapy. I had to stop. That was nine months ago. I have done nothing about it since. If anything, I have made it worse: carrying all 30+ pounds of Rory up and down stairs, doing yoga poses (upward-facing dog, unmodified planks, triangle – there are a lot of them) that I know make it worse. Could I have sought out another solution nine months ago? Of course. But I just didn’t want to think about it. I guess I was in denial. I wanted to pretend it wasn’t there, even though it greeted me every time I dug through my drawer for a T-shirt that was loose enough to not cling to my round belly and misshapen belly button, but not so loose that it looked maternity. I was mad that my body hadn’t just gone back to normal like it had with Noah. I felt defeated by how weak I knew my core was, and frustrated that exercises that should be good for my core would make the diastasis worse. I figured I would just accept it, figure out clothes to camouflage it, and that would be that. But then, last month, three seemingly random things happened. 1) I learned how to use the weights machines at the gym. I’ve been a member of the Y since before we had kids, but never knew how to use the weights machines. While I used free weights for classes and with work-out videos, I could never just go to the gym and do a circuit. I was too embarrassed by my lack of knowledge to even venture into that part of the Y. Why, yes, yes they could. I signed up for a “wellness orientation,” and by the following Monday, I was pumping iron with the rest of them (even if it takes me forever to adjust the seat and resistance levels to my extremely low levels and I’m sore for three days afterwards). 2) I survived the Clean Eating Challenge. Sugar has been my best friend and worst enemy as long as I can remember. (My baby book says that my first word was “cookie.”) I have had none of the white stuff – save one small bowl of plain frozen yogurt with fruit – for 12 days. Learning how to use the weights machines and succeeding at the Clean Eating Challenge reminded me that I CAN do things that scare me, no matter how long I’ve waited or how difficult they seem. Additionally, succeeding at those things made me feel healthy and strong. And I weigh less than I did before either of the kids. 3) I’ve been asked twice in the last month about my pregnancy. And, you know, I’m not pregnant. I don’t blame the people who asked. As I mentioned above, I could easily be in my second trimester. The first time someone asked didn’t bother me that much. But the second time, which was after I had started all the weights and the clean eating stuff, hurt. A lot. But more than sad, I felt mad. Mad that the diastasis happened in the first place, mad that I had to deal with it, and, most importantly, mad that I hadn’t done anything about it yet. So I’m not about to go into April with a workout challenge, finish the month with a stronger and more defined body, and still spend the whole summer fielding pregnancy questions. Not if there’s anything I can do about it. I searched around and found a program that seems to be what I need. I’m not exactly clear on how I’m supposed to follow their exercise program, but I’m vowing to do something to improve my belly every day. The first couple videos I watched reminded me that they key is paying attention to your core in daily activities – so I’m trying to engage my core and “knit” my upper abs together when I’m sitting at the table, driving the car, brushing my teeth and carrying Rory up the stairs. I’m not going to lie; I really hate these exercises. I hate having to constantly think about my abs. After doing two of the videos, I was reminded why I’d avoided them. The exercises are a strange combination of challenging and seemingly pointless. Maybe it’s because my abs are so weak; maybe it’s because the moves themselves are so tiny and focused. I’d much rather do a squat or hit a punching bag (with a picture of my belly on it) than do these weird, tiny pulses with my belly button. The other women who have written about their diastasis journey have had mixed results. Some of them had success with these types of programs. Others had some success, but the muscle separation was too severe, and they end up requiring surgery to fully close the gap. That’s hard to read. But I won’t know until I try. And I have to try. I have nothing to lose if it doesn’t work, and, if it does, a summer free of clothing dilemmas and awkward pregnancy questions. Wow, Betsy! No, I wouldn’t have guessed it. At all. But the fact that I now know someone personally who also is dealing with this – which, as far I as knew, I hadn’t until now – makes the embarrassment of writing this post totally worth it! This is especially true because you are one of the most active people I know, and I’m really curious to discuss what you’ve done/how its affected your overall fitness/if you’ve ever considered surgery, etc. And I’d love to have a buddy! You can grill me in the preschool parking lot about if I’ve done my weird ab squeezes for the day. As of today, the answer is no! I think you’re beautiful? Good luck! I can’t believe that the only course of action your doctor prescribed was surgery. That’s absolutely ridiculous. I looked into the program you signed up for as well and was pretty impressed by their in-depth vids and alleged results. MIT, I encourage everyone to sign up for my first year get out of jail (er, exercise) card. But obviously, I think strengthening the core is super important for all the daily tasks of being a new mom. And I’m realizing now that if I had paid a little more attention to that after Noah (even though I didn’t have DR) I might not have had to deal with it with Rory. I’ll let you know how this program goes! Got here through Fit2B, love your blog! My son will be 2 in a few months and I got asked recently too whether I was pregnant. 🙁 So far my diastasis is sticking around, but I’m hoping maybe after my son weans I’ll see some better results. My son was just over 8 lbs, but like you I also gained 40 pounds. And it stinks that I didn’t know about diastasis sooner. The whole first year I was wondering what was wrong with me. But as I’ve gathered from the forums, it is never too late to heal. I LOVE your blog post. I am visiting from Fit2b. I have personally closed my diastasis after 9 babies—at its largest I could fit 2 fists in my belly and not feel muscle. I’m a work in progress still, but I just wanted to encourage you. I was helped A LOT by splinting along with tummy safe exercise. Blessings and healing to you! Thanks, Jaime! I actually saw your blog post on Fit2B and have had it open in my browser waiting for a chance to read it. Nine kids! If you can do it, anyone can. Looking forward to reading your story!